When 57 lots in the Manhattan Community Garden were lost to development it was clear the community needed to develop a new garden to accommodate not only the gardeners that were displaced but to help resolve the issue of a waiting list of 20-30 people that wanted a community garden plot. The Collins Lane Community Garden will be an allotment garden project in an area south of Manhattan, Kansas, called Hunter’s Island. The 10 acres of land will be developed in stages. This year (2012), 68 full-sized plots (25’x 25’) and 8 half-sized plots (25’ x 12.5’) are available for rent. Plot rent is charged on a sliding fee scale to allow all income groups to participate. In addition to plot fees, the Collins Lane Community Garden has secured donations to help establish the new garden. Donations have helped cover water well installation, grading and ground preparation, electrical and plumbing work, lumber, etc. Gardeners have volunteered over 1300 hours of labor in preparing the garden for the 2012 season. 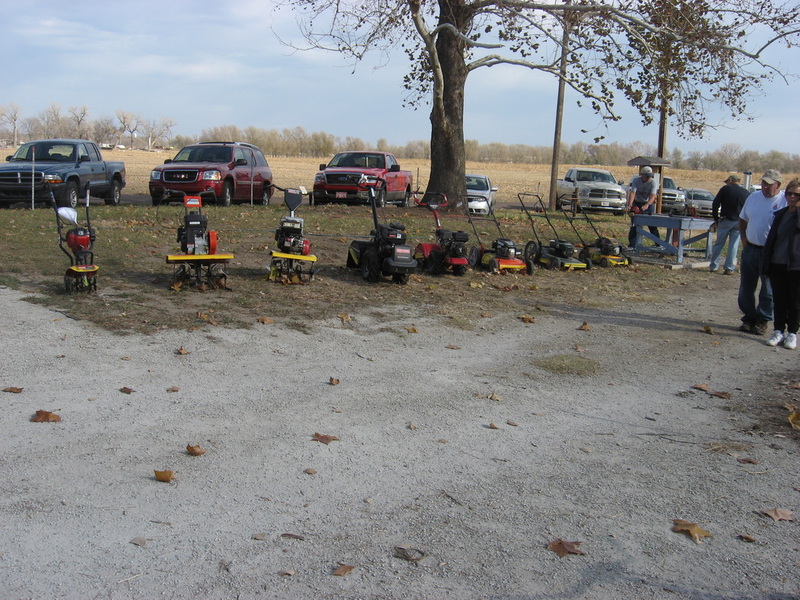 Kansas Community Garden Grant funds will be used to purchase tillers and mowers to maintain the garden and to purchase a storage container to serve as an equipment shed. Garden Rules can be accessed by clicking here. Grant funds helped the Collins Lane garden purchase two tillers, a mower, garden hoses, tools, and a 20' steel storage container than serves as the garden shed. The garden offers training classes on how to safely use power equipment.